History textbooks tend to be filled with white men doing glorious things, minimizing entire populations to give the impression that everything great in the U.S. comes from a small group of dudes. While work continues to correct that male-centric narrative in textbooks, Ten Days A Madwoman should be included in next year’s lesson plan. 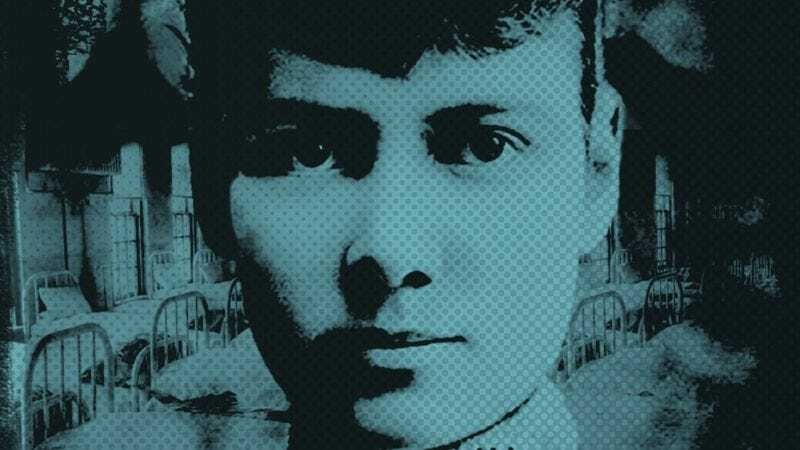 Deborah Noyes’ book for middle-school readers tells the exhilarating true story of Nellie Bly, who first gained fame as the “girl reporter” who went undercover in 1887 in a mental institution, then made headlines again with her 1889 trip around the world. That story was included in Drunk History’s “Journalism” episode, with Ellie Kemper playing Bly. It’s a great episode, and you should watch it. You should also read Ten Days A Madwoman, even if you’re not in middle school. You’ll learn something. Because this isn’t just a storybook telling of a woman’s adventures. It also charts women’s issues, mental health, working-class rights, devastation of war, and the role of newspapers and journalists. For a book that chronicles the life of a reporter at the end of the 19th century, Ten Days A Madwoman holds a startling prescience to the issues we face today, from benevolent sexism in the newsroom to the continued exploitation of the working class. Noyes writes in prose simple enough for middle school-age kids—following an old journalism-school adage that good writing should be decipherable to a sixth grader—while forgoing exclamation-riddled sentences that turn adults off to lots of kid lit. Tough ideas like sexism are plainly addressed, and Noyes clearly feels her young readers are capable of grappling with unsavory facts of life. Were it not for the classic textbook inserts dividing up the pages, Ten Days A Madwoman could pass as adult nonfiction. It’s the textbook-like layout that ends up making the book better than a straight nonfiction. Bly is celebrated for her stint pretending to be insane, reporting the gristly details of her stay at Bellevue, and for her sensational trip around the world. But the inserts add context to her stories, detailing the flavors of 1890s patriarchy, turn-of-the-century New York City, mental-health treatment (even more abysmal than it is now), what is was like to travel pre-airplane, the horrors of World War I—There’s so much of interest in this book beyond the protagonist’s story. Gaining entry to the male-dominated newsroom by writing a story about women in newsrooms, Bly pitched her idea to sail to Europe and return in the steerage section, getting a firsthand scoop on the inhumane conditions immigrants faced to get to the U.S. Pulitzer shot the idea down, but sent his editor-in-chief back with the idea to get admitted to an insane asylum. The resulting exposé was enormously popular and led to mental-hospital reforms as well as Nellie Bly becoming a household name. She would go on to perform more undercover stunts like these, but rose to prominence once again in 1889 when she traveled around the world in 72 days, beating Jules Verne’s fictional protagonist’s time in Around The World In Eighty Days. A whole book (or movie—seriously, why isn’t this already a movie starring Audrey Hepburn, or in the works with Emily Blunt in the lead role?) could be written on Bly’s travels around the world, and much of this one is dedicated to the whirlwind trip, no small feat for a woman in 1889. She did a lot after that, too, even if marrying a millionaire, running his company, and reporting on the front lines of World War I pale in comparison to her previous endeavors. 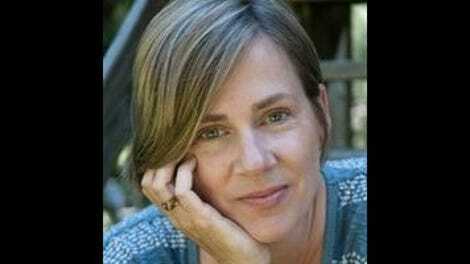 It’s all detailed in Ten Days A Madwoman, a gripping book from start to finish, for kids and adults alike.